Everyday you have a choice. 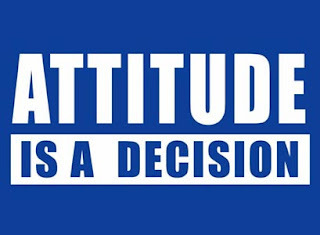 Everyday you can wake up and say 'My attitude is _____'. It can be good, or bad, or indifferent, but the choice is yours. What's your attitude today? This bold shirt from RockSports will help you get the message out there to all your PE students. Attitude is a decision.